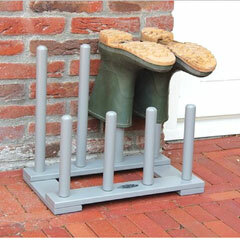 The Poppyforge 2 Pair Boot Stand and Scraper is perfect for storing your wet boots and umbrellas. 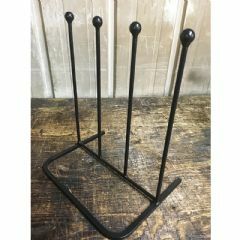 This cleaning centre is hand forged from steel by English craftsmen and covered in durable antique polyester paint to stand up to the weather. 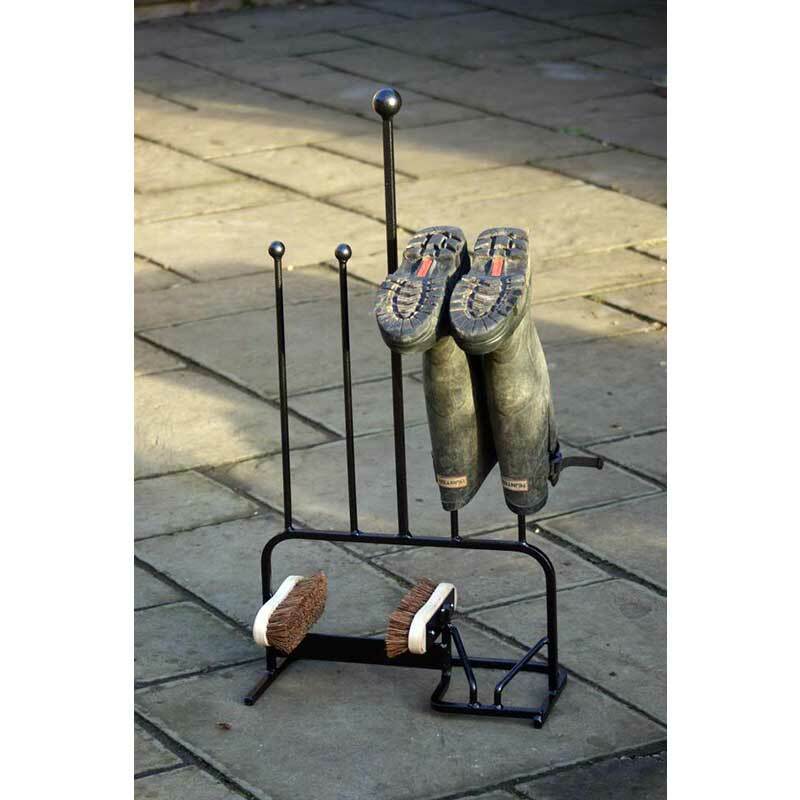 With four ball topped rods, you can store two pairs of boots. 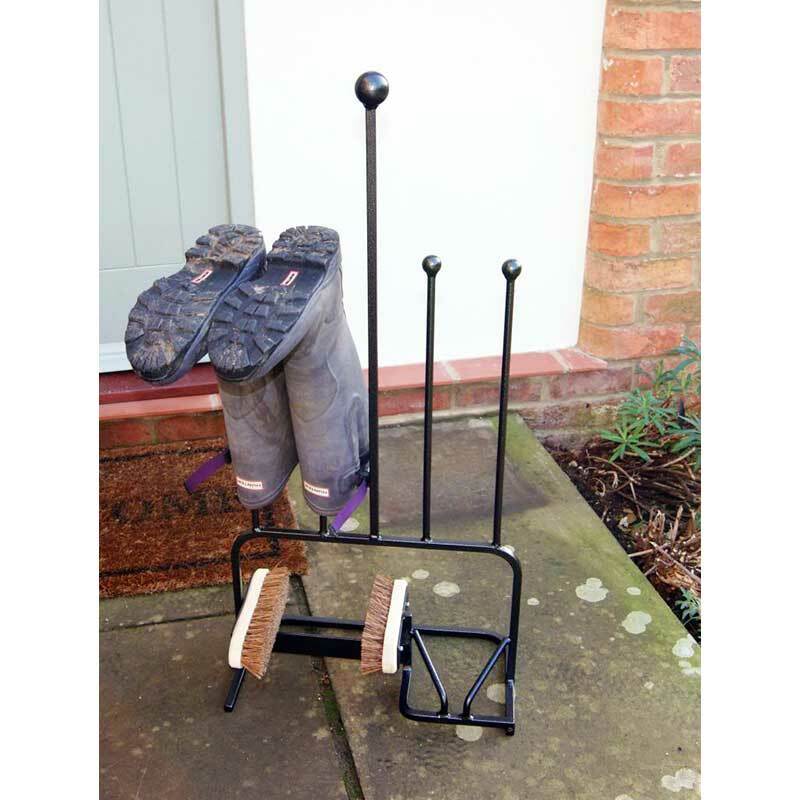 The centre horizontal bar will allow you to scrape mud and debris off the bottom of your soles and tread, while the brushes will make quick work sides and front of your boots. Well made and the perfect size. Met all expectations. Well made and solid. Bought this as Christmas parents for parents. 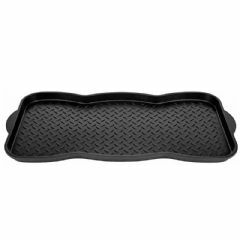 Excellent quality and has a classy look. I did quite a bit of online research and this was best value. The boot rack and scraper arrived unbelievably quickly. It was well packed and is very solid feeling, with no putting together required. 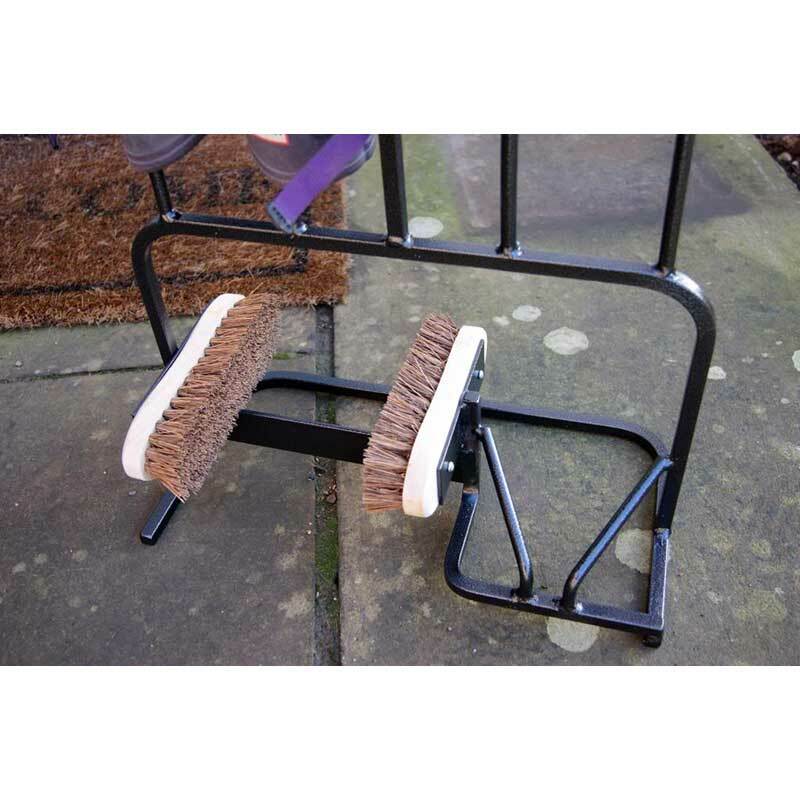 The cleaning brushes can be replaced when worn down. A great, practical item that looks good too. I'm very pleased with it, and the delivery service I received. Recommended. 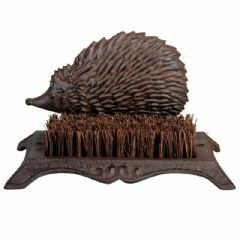 High quality metal, good stiff brushes removes mud and leaves effectively. Robust construction. 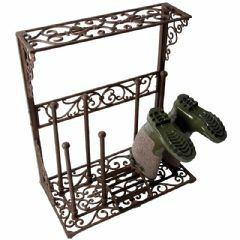 Great for any type of boots. 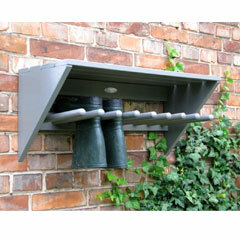 Good gift for a gardener or someone who loves the outdoor life. The item was just as described and fits perfectly by our front door. Here's to many years of productive use. I was impressed with the quality. I thought we may have to assemble it but it arrived 'ready to go' and was much more sturdy and robust than I thought it would be.